A refreshing coconut cake with a layer of fresh fruit and lemon cream filling. A rich delicious chocolate cake just like Mom made. Chocolate ganache filling and a silky Italian buttercream frosting. Great for any occasion! A rich dark chocolate cake with four layers of strawberry buttercream topped with a luscious chocolate glaze. The cake, itself, resembles a chocolate-covered strawberry. Almond cake with cannoli cream and chocolate ganache. 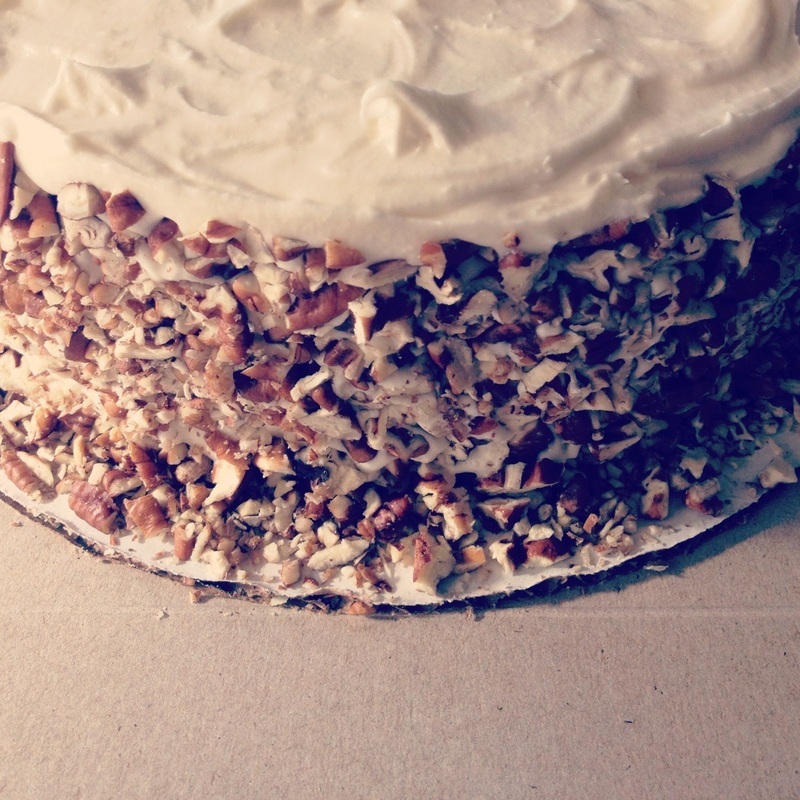 Made with Vermont carrots and topped with a rich vanilla cream cheese frosting and walnuts or pecans. A chocolate lover’s dream! Dense & covered in rich dark chocolate ganache.